Virginia Beach Family Vacation Blog & Daily Deals! My Virginia Beach Family Vacation Blog is your source for daily deals and breaking news on travel and ticket discounts in Virginia Beach, Busch Gardens Williamsburg, Colonial Williamsburg, Jamestown, Washington, DC, and beyond. I'll give you the latest deals-- from hotel stays for 1 cent per night, to free admission days at Virginia attractions-- as well as secrets for visiting the top spots for less. Plus, I'll give you insider reviews of the best restaurants and free or cheap places to visit. To keep up-to-date on deals and reviews, sign up for my RSS feed. Go to the box on the top right of this page where it says "Subscribe to this site" and you'll see an orange RSS button. Right click on it and paste the URL into your RSS reader. That way, you'll get instant notifications whenever I post a new deal or discount that can save you money, like the latest Kings Dominion or Busch Gardens Williamsburg promo code that could save you up to 50% on tickets! Check out my latest Virginia Beach Family Vacation Blog deals! I regularly post or retweet travel-related information, stories and photos (and deals ranging from free Chick-fil-A days and National Pancake Day) on my Twitter feed. 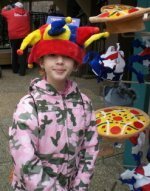 Continue reading "Paramounts Kings Dominion for as Little as $19.99!" Continue reading "Busch Gardens Williamsburg Discount Tickets!" Just in time for the Busch Gardens Williamsburg's spring season, Groupon is offering a limited time deal that will save you 41% off a single-day ticket (you pay $49.99 instead of the regular $84.99). This is one of the better (perhaps the best) deals you're likely to find as the park opens its doors for the season on March 23. 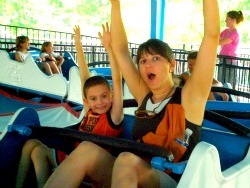 For more Busch Gardens deals, such as their 2-Park Fun Card Deal, click here. Continue reading "Busch Garden Coupon Codes"
Only 11 more days until Busch Gardens Williamsburg opens for the season-- that is, if you're a pass member. Pass members can take advantage of Pass Member Preview Day on March 16. You'll get to enjoy the park a full one week before the general public, plus take advantage of a free concert by the Deloreans, a St. Patrick's Day celebration, and a member town hall. Pass member plans start at just $9.99 a month (or, for $2 a month extra, you can include Water Country USA in your membership). If you haven't been to the park for awhile, remember that annual membership now gives you access to both Howl-O-Scream and Christmas Town as well. Membership plans range from the Basic Plan, a no-frills deal with certain blackout dates, to their Unlimited, Premier, and Platinum plans. I've got the details on the plans so you can see which one may be best for you. Continue reading "Busch Garden Discount Ticket Deals for Season Passes"
Continue reading "Busch Gardens Hours & 2019 Operating Schedule"
Continue reading "Busch Gardens Virginia Admission Deals"
Today, Jan. 20, is the last day to take advantage of Busch Gardens Williamsburg's New Year's deal, offering 30% off single or multi-day tickets to the park when it opens in March. Buy today, and you'll pay just $59.49 for single day tickets (compared to $84.99 full price) and $77 for a two-day ticket (compared to $109.99 full price), and $83.99 for a three-day ticket (compared to $119.99 for a full price ticket). The tickets are good all spring/summer season, and the multi-day tickets include admission to Water Country USA as well. Is Discount Carrier Allegiant Worth it? Normally, I'm a DC-to-parts-unknown kind of girl. But I wanted to save our family money on a recent trip to Florida, so I decided to give discount airline Allegiant a go (with some trepidation). The process began months before when I was trying to get a decent fare to Orlando at Christmas time -- not an easy task! I like to use the Hopper app to keep me posted on when fares were going up or down, but I wasn't thrilled with the prices I was seeing, or with the fact that the best fares seemed to be for mujlti-leg flights. Then I remembered that my hubby's friend had recommended Allegiant Airlines, a discount airline that files to limited locations on select days, and generally out of smaller airports. To my happy surprise, they had a good fare from Roanoke, VA, to Sanford Airport just north of Orlando. Here were our pluses and minuses of the experience. Continue reading "Kings Dominion Winterfest"
Busch Gardens Williamsburg has extended their annual pass deal through Cyber Monday. Buy your 2019 2-Park Fun Card by midnight tonight and you'll save 50% on your pass for unlimited admission to Busch Gardens and Water Country USA. You'll pay $69.99 for the pass which is good March 23 through Sept. 8. In addition, if you buy by midnight tonight, you can 40% off Christmas Town tours, including the Festive, All-Access, and Elite VIP tours. As for Christmas Town tickets, you can purchase an unlimited admission Fun Card for $59.99, or get a one-day ticket starting at $30. You'll save money if you buy tickets in advance. For details on Christmas Town tickets and deals, click here. When I saw this admission deal for Newport News' Mariner's Museum, I did a double-take. What I'd read couldn't possibly be accurate. But it's true. Starting Nov. 18, Newport News' Mariners Museum will charge just $1 for admission. And it's not just for a short time, either. According to their website, it's that way permanently. Since this is a pretty amazing museum, filled with lots of interactive exhibits, movies, and hands-on things for adults and kids, I don't know how they are doing it (maybe they got a really rich donor?). But hey, I'm just glad it's free! Here's why you'll find--more than ever-- a visit to the Mariners Museum is so worth your while. 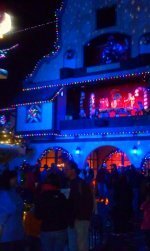 Continue reading "The Mariners Museum Provides Maritime Magic"
Continue reading "Holiday Lights at the Beach"
Continue reading "Celebrate Christmas Town at Busch Gardens Williamsburg!" Just two days left to take advantage of a $39 deal for Kings Dominion's Halloween Haunt. Normally, tickets for all-day admission on Saturdays at the Halloween-themed event runs $57 for adults. But if you take advantage of this promo code, you can get all-day admission for Saturday, Oct. 13 for just $39. If you're looking for discounts to Howl-O-Scream, Busch Gardens' Halloween-themed event, you'll find them here. Students can get Friday night admission to Kings Dominion's Halloween Haunt now through Oct. 28 for just $36 when they show their student ID. That's a savings of almost $4 per ticket. The park is also offering significant discounts to a variety of groups, including the military and first responders. For details on those discounts, as well as hours, operating schedule, and parking discounts, check out this page. Continue reading "Halloween Haunt at Kings Dominion!" Groupon is offering 50% off a single-day admission to Busch Gardens Howl-O-Scream for a limited time. This means that you'll pay $45 instead of the regular $90. The deal is good for any operating day between now and Oct. 28. Keep in mind that these Groupon deals can sell out fast, so don't wait if you want to take advantage of it. In the meantime, you can get the Howl-O-Scream facts you need, like hours, operating dates, and other ticket deals here. Or, if you'd prefer to get your scares at Kings Dominion's Halloween Haunt, I have the details you need here. 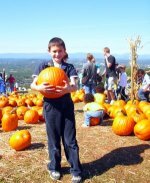 Continue reading "Fall Fun in Virginia"
Kings Dominion's Halloween Haunt is underway for the season, and if you want to visit for free, one way to do so is to buy your 2019 season pass now. By doing so, you'll lock in your 2019 season pass at 2018 rates, plus get unlimited admission to Halloween Haunt on all operating days now through Oct. 28. In addition, you'll get free parking, plus unlimited admission to Winter Fest, their new holiday-themed event for November and December. Season passes start at $99. Here's all you need to know about Halloween Haunt, including hours, operating schedule, and getting discount tickets. Okay, that's a bit of a misleading headline. Busch Gardens Williamsburg's Howl-O-Scream had to cancel their Members' Sneak Peek night thanks to Hurricane Florence. They aren't exactly rescheduling, BUT they are making things up to members by announcing a special Members' Exclusive Night on Oct 4 from 5 pm to 11 pm. No details have been shared yet, but expect to hear them soon from their Twitter @Busch GardensVA feed. In the meantime, you can get the Howl-O-Scream facts you need, like hours, operating dates, and ticket deals here. Busch Gardens Williamsburg has just announced the first ticket deals for Howl-O-Scream. These include a 50% off kids' deal, and a 50% off adults deal for two specific dates. 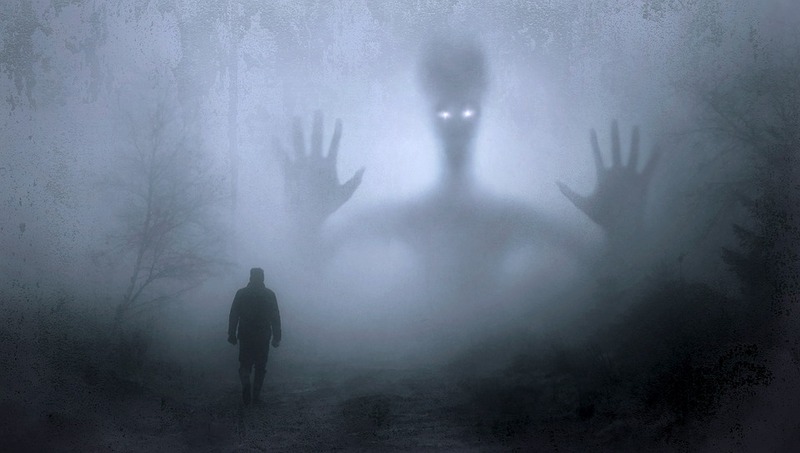 I've got the details here, as well as park hours, info on this year's "terror-tories" and haunted houses, and few surprises, like their new escape room. Check it out before the haunting begins Sept. 15. Continue reading "Howl-O-Scream Haunts Busch Gardens Williamsburg"